The first two reviews of Shock Totem #4 have come in. The first can be found here on The Crow’s Caw. And Hellnotes once again gives us the thumbs up. 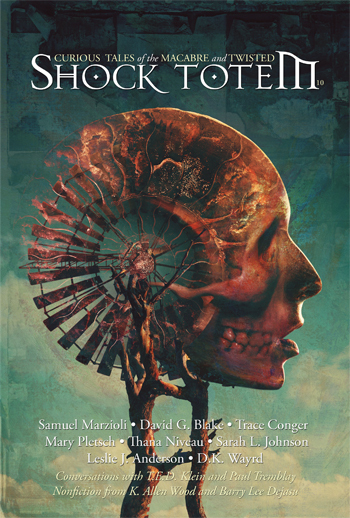 As always we’re greatly appreciative and humbled by the positive response to Shock Totem and the outstanding work our authors have allowed us to publish. This entry was posted in Magazine Reviews, Shock Totem News and tagged Hellnotes, Magazine Reviews, Reviews, Shock Totem #4, The Crow's Caw. Bookmark the permalink.